SOUTH LYON – On Saturday, November 15th, Witch’s Hat Brewing officially began calling 601 S. Lafayette Street its new home, thus closing the doors on their original location. The Grand Opening is scheduled for Friday December 26th, which coincides with the brewery’s 3rd anniversary. In January 2014, Witch’s Hat Brewing announced that it had secured a new brewery location within its hometown of South Lyon. The announcement promised a larger taproom for their customers, and more importantly, the ability to make significantly more of their popular beers. Now just over ten months later, the new facility is officially open to the public. The original brewery and taproom at 22235 Pontiac Trail closed up shop on Sunday November 9th, a finale which was commemorated with a heartfelt farewell toast by owners Erin and Ryan Cottongim. During the ensuing week, Witch’s Hat hosted a series of “soft openings” to members of their mug-club, which afforded the opportunity to come see the new place up-close and personal before the general public. Visitors to the new facility will find a much larger brewing space, which was designed to be the building’s centerpiece. The new taproom is roughly three-times as large as the old location, and features a large L-shaped bar, a decorative wall to display the mug club’s unique glassware, and a picturesque view of the brewery’s namesake – the century-old Witch’s Hat train depot, located across the street. With the brewery’s additional capacity, Witch’s Hat says initial focus will be placed upon their flagship beers – Train Hopper India Pale Ale, Edward’s Portly Brown Ale, Three Kord Kolsch, and Big Doedish Double India Pale Ale. The company views this as a crucial part of their plan for an increased presence in southeast Michigan, specifically at bars and restaurants that support craft beer. Witch’s Hat expects to boost production over the next 18 months by 5 fold, estimating new capacity at 2500 barrels per year. 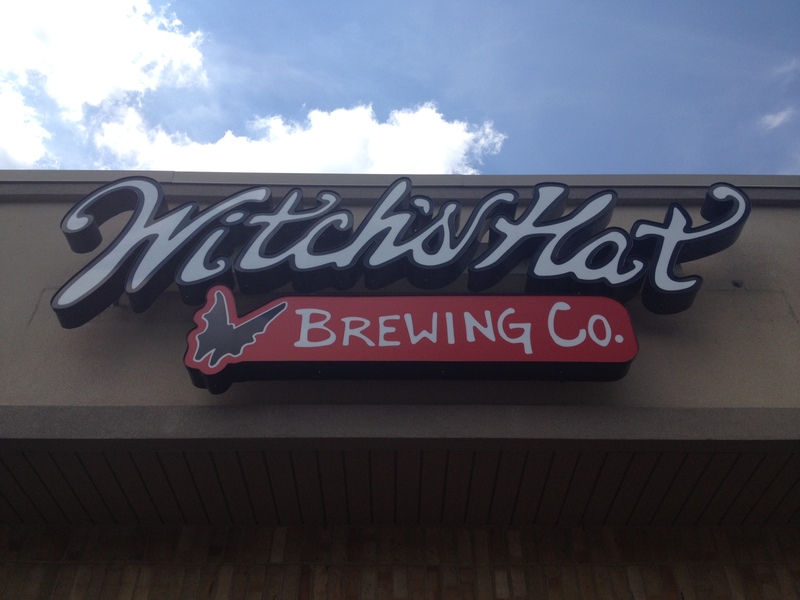 Witch’s Hat Brewing Company opened in December 2011 as a community-focused brewery in South Lyon, Michigan. 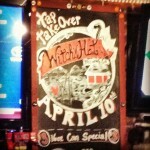 Witch’s Hat has been voted one of the “Best Michigan Breweries” by the readers of MLive.com, and also garnished the MISBTDC 2012 Best Small Business award and 2013 Main StreetUSA award. The brewery and its owners have also been featured on the local Fox affiliate’s “Made in Michigan” TV show. In 2012, Witch’s Hat produced 350 barrels of beer, and this number increased to nearly 550 barrels in 2013. John Rucinski never expected all this attention. “I just think of myself as a guy who wants to make beer for people,” he states. “It blows my mind that people actually want to talk to me about it.” With aspirations of “middle of the road, balanced craft beers”, Rucinski’s Dearborn Brewing Company has Michigan craft beer enthusiasts like us excited to try his brews. Rucinski started making his own beer well over a decade ago. His first Mr. Beer kit didn’t quite produce the quality he was looking for, so he purchased better equipment and started practicing. He went on to win various local and national awards, including a bronze medal at the 2003 National Homebrew Competition. Rucinski is also a graduate of the Siebel Brewing Institute course on brewery planning. Dearborn Brewing will be located at 21930 Michigan Avenue, near Nichols Ski and Snowboard. Rucinski says he intends on opening the brewery with six taps: An amber ale, a cream pale ale, a Belgian, and possibly a brown ale will be featured as mainstays. Then, rounding out the sextet will be 2 seasonal beers. At 2,450 square feet, the brewery will feature seating for up to 25 people and the décor will have a “Black and Tan” feel. The focus will be mainly on beer production and selling to other establishments in the Dearborn area. Rucinski is in the process of getting a state microbrewers license (rather than a liquor license), and hopes to open Dearborn Brewing in late summer. Although he currently works a full-time job as a project manager at Nissan North America in Farmington Hills, Rucinski’s brewery and taproom won’t be a “toy”. Rather, he intends to make this his full-time job. Along with his wife, Sheila, they’ll pretty much be doing everything themselves – brewing, pouring, and delivering. You can keep up with Dearborn Brewing on Twitter and Facebook. 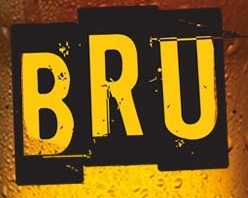 Here’s more good news for Bell’s beer lovers in Metro Detroit: BRU Fest is returning to Royal Oak next Saturday, June 14th – with proceeds going to a really great cause, the Children’s Leukemia Foundation of Michigan. Drink some great beer, eat some tasty food, AND make a difference…can’t beat that with a stick. TROY, Mich. – The fourth annual BRU FEST Michigan fundraiser will pair local craft beer with delicious food and entertainment with proceeds to benefit the Children’s Leukemia Foundation of Michigan. The event will take place on Saturday, June 14 from 7 p.m. to 11p.m. at the Royal Oak Farmer’s Market. General admission tickets are $39, and VIP tickets are $60. VIP tickets include 6 p.m. early entrance, private beer tapings with exclusive food pairings, a larger mug and more. With each ticket purchase, attendees receive 10 tokens for one half-pour of beer each and four tickets for burgers and wings. Tokens and tickets for additional beers and food can be purchased for $1 each. Bagger Dave’s Legendary Burger Tavern. The event has sold out in previous years, with beer lovers enjoying the casual, fun environment to raise money to support a worthy cause. • Exclusive Microbrew Brand: Bells Brewery, Inc. Bells will provide 22 craft beers, six of which are rarely available to the public. The Hype Syndicate will provide the musical entertainment for the event. For the first time ever, BRU Fest 2014 will feature a fundraising “BRU Pong Tournament.” The tournament will allow teams of two to enter a single-elimination tournament and represent a CLF patient family in their quest for the grand prize, with proceeds benefiting the Children’s Leukemia Foundation’s The WALK fundraiser on July 21st. 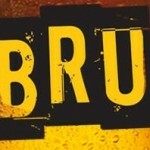 The individual donation to participate in the BRU Pong Tournament is an additional $5 to a regular BRU Fest ticket. For more information or to register for the event, visit https://brumichigan.com/. nonprofit organization helping families cope with leukemia, lymphoma, and related disorders by providing information, financial assistance and emotional support. In addition, CLF has provided more than $6.5 million in research dollars to Michigan’s comprehensive cancer institutes. For more information about Children’s Leukemia Foundation of Michigan, please call 248.530.3000 or visit http://leukemiamichigan.org. When folks first hear about a Jet’s Pizza tap takeover, the common response is “Wait, did you say JET’S Pizza?” followed immediately by “There’s a Jet’s Pizza that serves BEER?” The answer is very definitely YES. They just don’t serve beer, they serve CRAFT beer. Think of it like a more amazing redux of the way Pizza Hut used to be back in the day…you know, before people realized you could get a pizza that tasted just as good but with half the grease and at half the price. Nevertheless, the magical beer-serving Jet’s Pizza we’re talking about is the one in Chelsea at 506 N. Main Street. This past Thursday April 10th, South Lyon’s Witch’s Hat Brewing was the participant in Jet’s most recent tap takeover, so it seemed the perfect opportunity to come see this incredible place in person. Sure as shootin’, the second you walk through the door you’re greeted by nicely-sized bar and a boatload of taps. Then there’s the dining area, which is large and offers both tables and booths in a number of configurations. The menu is the same as you’d find at your local Jet’s Pizza delivery & carry-out store, but that’s where the similarities stop. Chelsea’s version has music, friendly staff, a spectacular Star Wars-themed restroom, and of course the aforementioned Michigan craft beer. This ain’t yer daddy’s Pizza Hut, kids.